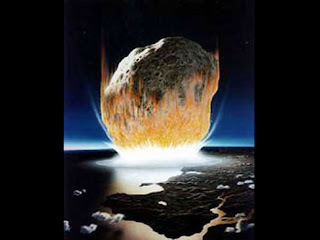 For anyone living in a cave, today is December 21, 2012 and the end of the world for those who believe that the Maya Long Count running out signals the end of time itself and thus Doomsday. The problem here: the world isn't going to end, plain and simple. In fact, it's truly hard to believe that anyone can actually believe this nonsense at all, especially if one knows a little about the Maya and their belief systems. First of all, the Maya believed that time was not linear but cyclical (wrong) and that the universe had been created and destroyed multiple times (wrong again). So, two false beliefs under our belt, let's see where else the Maya had it all wrong. When it came to their belief in the world ending, the Maya believed that this was not random, but at specific points in time, namely when the calendar (and thus time) ran out. Before the Maya, people in Mesoamerica had been using a system of two calendars: a 260 day ritual year for religious purposes and a 360 day solar year for everyday things (note how these great timekeepers just conveniently left out 5 days of the year that were inconvenient for their timekeeping system). How did they work? Simple: start the calendars at the same time on month 1, day 1 and run them side-by-side and, after 52 solar years (the 360-day variety) they would once again match dates at month 1, day 1. This was called the calendar round and when this ran out, it meant that the world was more likely to end as time literally ran out. Solution: worry, pray, and sacrifice human beings in the hope that the gods would be nice and decide not to destroy the world. Well, the priests must have done a good job as we're all still here but having to go through this stressful time every 52 years must have sucked for the Maya. Solution: come up with longer spans of time and thus put off the end of the world, as if the universe could be influenced by a man-made calendar (pretty stupid, huh?). Obviously, with the 5,125.25 year Long Count complete, the Maya must have felt more than secure in the knowledge that they would never have to worry about the world coming to an end in their lifetimes ever again, as if the gods somehow had to obey the will of man now that a longer time cycle had been created. Pretty funny, isn't it? Bottom line: the universe isn't going anywhere anytime soon. Final thought: just for fun, if you know any true believers in the December 21 end of the world scenario, bet them a good chunk of change that the world won't end today. If you win, you just may actually get some money, if something happens, at least you won't have to worry about paying!